The Fourth of July has come and gone and you know what that means. It’s only a matter of days before fall is here. Maybe not officially but before we know it we will be greeted by jack o’ lanterns and black cats as we duck into the stores to escape the summer heat. Every year, as we transition from one holiday to the next, I experience the same feeling. Let’s not hurry life along. It goes fast enough, as it is. I can remember thinking, as a child, the days moved at a snail’s pace. “Don’t wish your days away,” my mother would warn me as I was lamenting the length of time until my birthday, Christmas, or some other special event. As I got older, and I began to wish I had more time in the day or in the week, to finish whatever project was occupying my mind, I made the assumption that children felt life passed at a much slower pace than most adults do. About 5 years ago, something happened in my third grade classroom, that made me question that assumption. 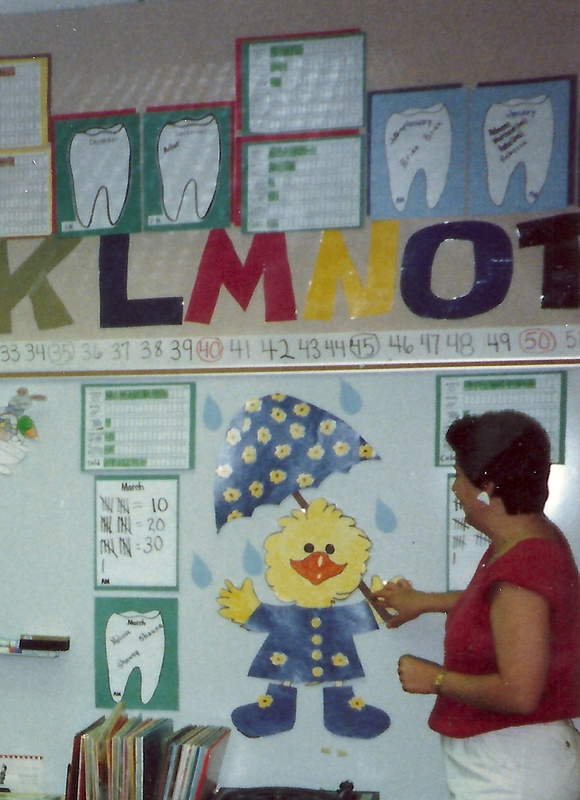 One of the predictable routines, in an elementary classroom, is the attention given to the calendar. Each morning, I would review the current month, day and year. The concepts of yesterday and tomorrow can be challenging for young children, to say nothing of the idea of months and seasons. To make the concepts more real for them, I would ask them to share something they could remember doing during the previous month as well as something that they were looking forward to for the upcoming month. In addition, I asked for their general reactions to the calendar and images they saw around the current month. One of my shy students was surprisingly anxious to share his thoughts. With much sincerity, he exclaimed, “Mrs. T …all the days get here fast.” There was an immediate reaction of agreement from the rest of the class. His statement was really unexpected and took me by surprise. I was even more surprised when similar feelings were expressed, by other students, in the years that followed. My conclusion that modern children view life’s speed differently than I did, at their age, isn’t exactly scientifically sound. Perhaps some child had expressed that sentiment before and I hadn’t remembered. Maybe some children always felt that way but were just hesitant to express it. Possibly, the discussions they heard at home included the topic of time and the students were just parroting their parents’ views. Or maybe…their days do all get here fast… maybe the life of the young child has changed enough, in the last decade, so that their perception of time, has changed.